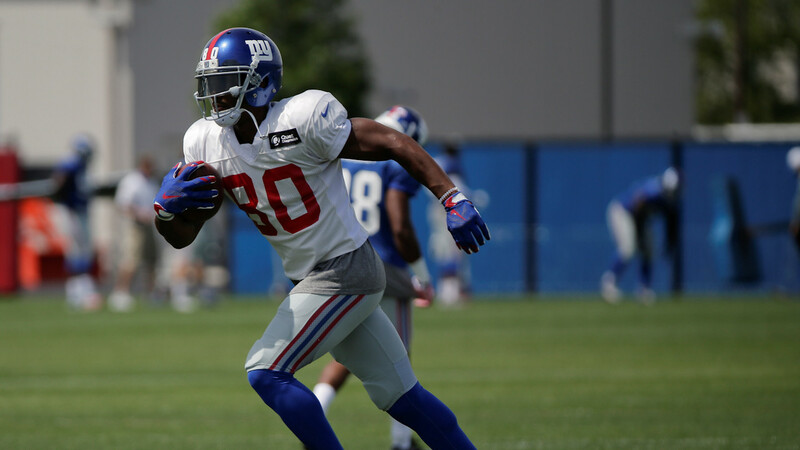 EAST RUTHERFORD, N.J. -- Salsa-dancing wide receiver Victor Cruz is hoping to practice Wednesday and play for the first time in almost a year when the New York Giants play in Buffalo on Sunday. Cruz jogged with the team Monday in a light workout and caught about 20 passes from former Giant David Tyree while working under the supervision of a trainer. The 28-year-old Cruz has not played in a game since sustaining a season-ending knee injury against the Eagles on Oct. 12. He had targeted the season opener for his return, but a calf injury in training camp sidelined him for almost a month. Cruz was inactive for the Giants' first three games. Coach Tom Coughlin said Cruz has to get through practice healthy before he gets back in the lineup.